On December 2, 2018 My mother noticed Alan acting very out of sorts. Very out of it. Confused. My mother was able to get Alan in with the doctor to get a referral to a pulmonologist. He met with respitory, who immediately realized that his lungs were saturated. He was essentially drowning in his own fluids. Mom was instructed to get Alan to the ER stat, and the rest is history. 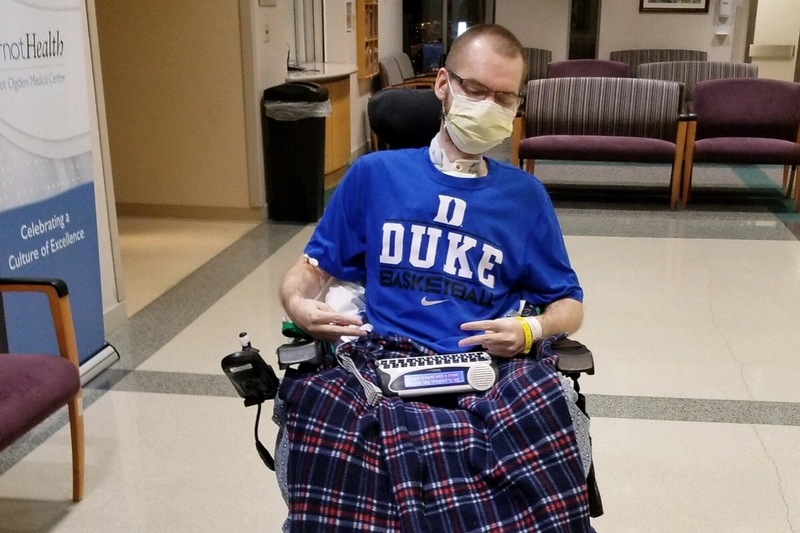 December 4, 2018, Alan Matthew was admitted to the ICU and as of today, he is still there. The past 7 weeks have been a bit of a blur. The first couple of days in the ICU, we learned that Alan was aspirating. Every time he took a drink or ate something, half would go to his stomach and the other half to his lungs. He had a terrible pneumonia but unlike one that you or I would get, his was a direct result of the aspiration. Alan was, by the Grace of God himself, blessed with an amazing medical team. They did everything they could, but by day 5 his body had filled with CO2 and there was no choice other than to intubate and place Alan on life support. 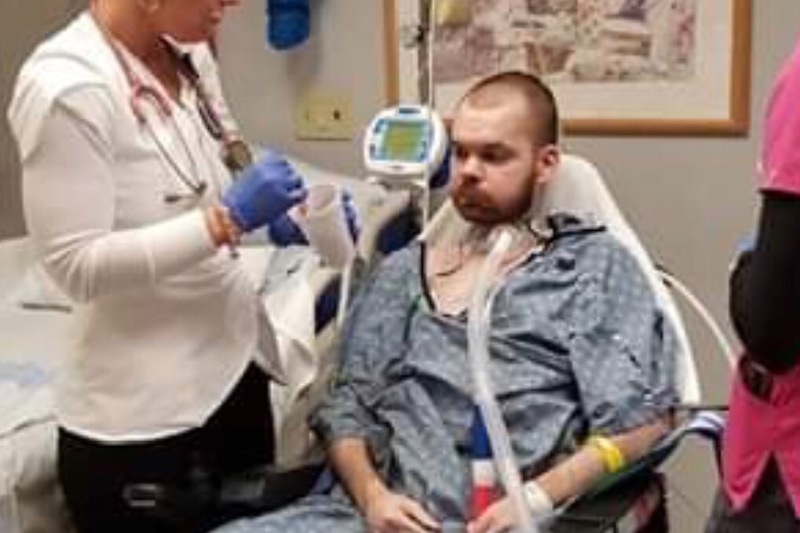 24 hours after Alan was intubated, the call was made to remove the tube and get him breathingo on his own again. Unfortunately, less than 24 hours after removing the tube, Alan’s blood gas level was through the roof and he was barely breathing. He was intubated again, and back on the vent. After Alan’s respitory system failed him for the second time his pulmonologist had to have a discussion with our family that would be anyone’s worst nightmare. Basically, Alan could not breathe on his own. He was in respitory failure. So there were two options. Alan would have to have a trach, for the rest of his life. He will never be able to eat or drink. Anything. Ever again. Or.. take him off life support and Alan would pass away. Alan’s pulmonologist thought it was very important and necessary that because Alan is still very aware and mentally capable, that this would be HIS decision and no matter what he decided, we had to respect it. That very day, Alan was awake and alert enough, for his DR to explain everything to him in great detail. Alan made the decision to fight. To live. Since having the trach put in, as well as a PEG tube (AKA feeding tube) Alan has far exceeded DR’s expectations. He has good days and bad days and is still working toward recovery. 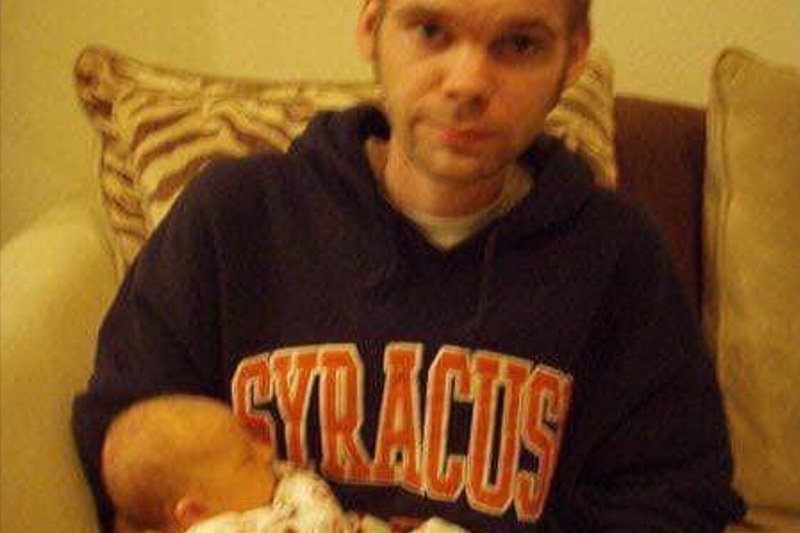 He has been in the ICU at Arnot Ogden Hospital for 45 days and counting. We want to bring Alan home are fully prepared to do so. My mother has a family insurance plan through the state and my step dad carries an additional family plan through the school district. It’s been nothing but an uphill, losing battle with the insurance companies. Alan will now require around the clock, 24/7 care due to having the tracheostomy and being on a portable ventilator. Mom’s insurance will cover RN care only 40 hours a week through a licensed agency, but there is only ONE one in the area and they have no RN care available at this time. Alan has been placed on a waiting list. Right now Alan is on borrowed time. 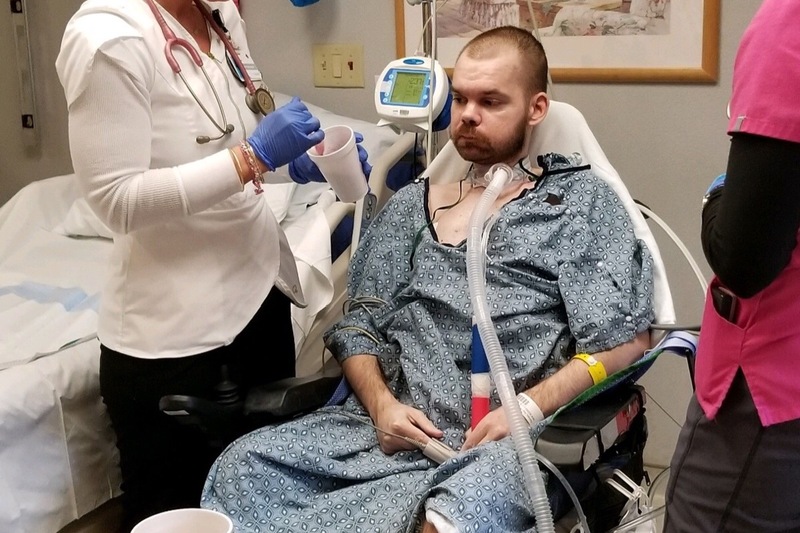 He is still in the ICU because the care at home hasn’t been able to be put into place The insurance companies have threatened to deny his stay beyond Tuesday January 22nd, and the cost is $1500 PER DAY. Our family is willing to hire RN’s and CNA’s out of pocket until we can get the insurance side of things figured out, but on average the wage for an in home RN is $25/hr. 40 hours a week, would come out around $4000/month. And like I said.. he requires 24/7 care. On top of this Alan’s wheelchair elevator at my parents house is on it’s last leg. My parents home is a split level so the elevator is necessary to get Alan in and out of the house. Those on average run about $4,000. In addition to this because he is on a portable ventilator, my mom will need to have a vehicle she can transport Alan in. A van that allows him to stay in his wheelchair while in the vehicle will be required. On average, those run about $20,000. We don’t have a complete list of other medical equipment but we know he will need a rotation hospital grade mattress, which insurance will not approve, and those cost about $3,000. My mother is one of the most strongest, hardworking, independent woman I know. She would rather die before asking for help. Although she will kill me for saying this, she is not getting any younger. Physically, she can not be Alan’s sole caregiver anymore. But we also refuse to send him to a nursing facility permanently. It’s just not an option. If you feel led, please help. Every dollar counts and if you are unable, we understand. Please pray for Alan. I truly believe that whatever God brings us to, He will bring us through. Our family thanks each and everyone of you for taking the time to read this, for any donation made and of course for each and every prayer. There were no blantly obvious signs when Alan entered this world that he was sick. Alan, after all seemed and appeared like any other healthy 4 year old toddler. What raised concern and was the first red flag was when I (his sister Magan, who was 2 1/2 years old at the time) was beating him in “stair races.” That was when we would start at the bottom of the stairs and race to the top and last one was a rotten egg. In any normal situation, it’s obvious a 4 year old would definitely beat a 2 year old. That’s what kind of kicked off the concern with our mother, and eventually led to Alan’s first diagnosis. Duchenne Muscular Dystrophy. 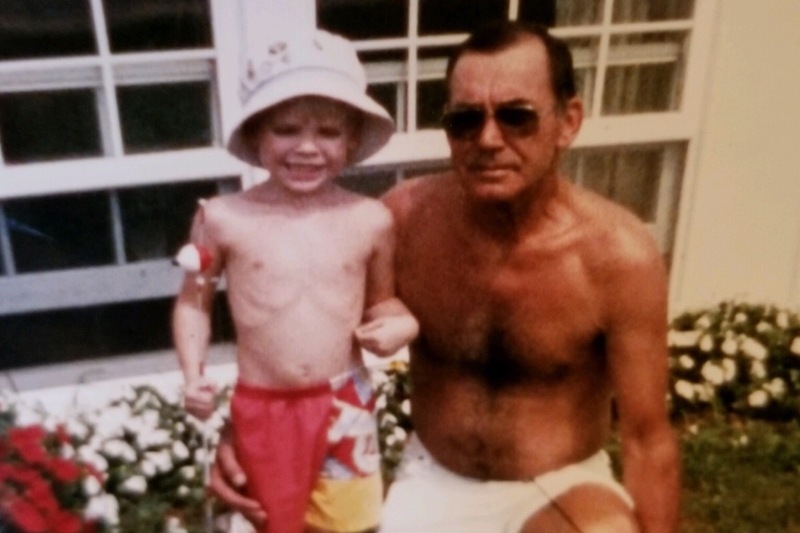 At the time of his diagnosis, my Mother and Father were told to prepare for their son to be completely wheel chair bound by age 10, and ultimately not expect Alan to see his 21st birthday. Little did anyone know at the time, the doctors were wrong. Not only about his life expectancy, but also about his diagnosis. And above all of that, this little boys fight and will to live. From the time Alan was diagnosed at age 4, all through high school and even into his early 20’s.. he lived a relatively normal life. He was never able to run. He walked very slow. He went through stages between about 9-13 where he gained a lot of weight from the steroids that they had him on. But all in all, Alan was decently healthy and beating all the odds. Far surpassing any and all expectations. He was an allstar little leguer who pitched a no hitter. 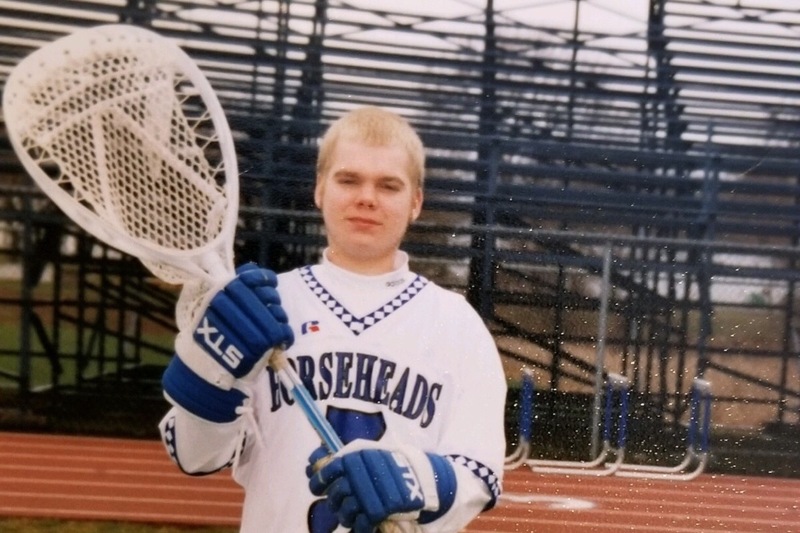 Alan played Lacrosse goalie in high school. He had a 5 speed manual Jetta that he drove. He graduated high school with high honors, went to parties, had girlfriends and did all the normal things that everyone else did. With the new diagnosis, came a clearer understanding. Over the next couple of years, Alan’s arm strength became increasingly less. He had absolutely zero muscle strength in his hips/legs. He became a total assist when moving from the bed, to the chair, or when taking a shower, etc. The pain from the muscle deterioration became worse and pain management came into play. For the past 4 years, Alan has been on high doses of pain narcotics, suffering through the side effects and trying to manage the level of discomfort his body was in day in and day out. 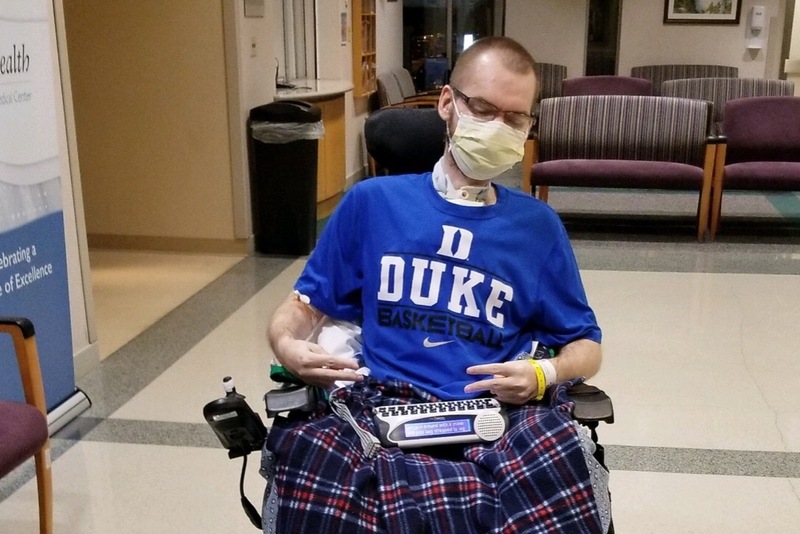 2018 was a most pivotal year for Alan, and the progression of his disease. 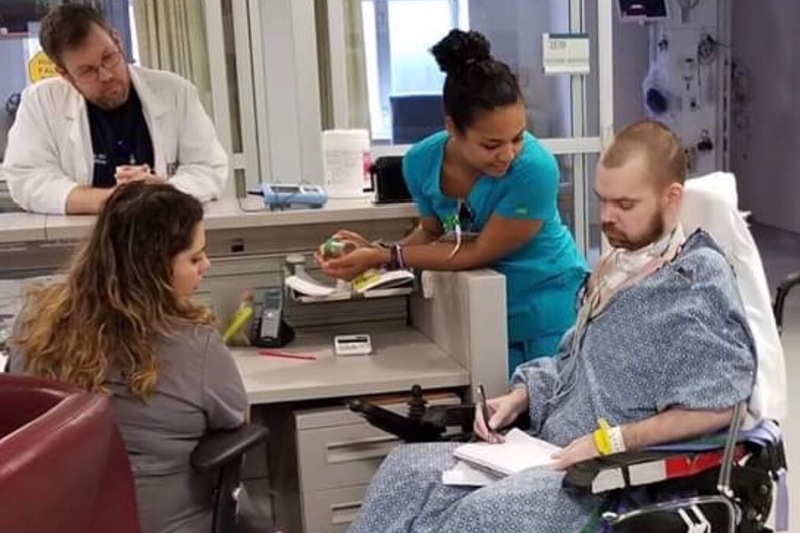 From the time of his original diagnosis up until December 2018, Alan, though at times being very sick, was NEVER hospitalized. Another huge feat for someone with MD. Beginning in September 2018, Alan developed what everyone just thought was a cold. A healthy person, would eventually just get over. Unfortunately for those with MD, it’s not only the muscles in the extremities that deteriorate. It’s literally every muscle in the body with exception of the heart muscle that takes a beating, which includes most major organs. Enter respitory failure. Alan was running his beloved “Cadillac” (his super fancy powered wheel chair) into the walls wasn’t making sense when he was talking and just not himself. Turns out it was not a cold. Alan's diaphram had become too week to exhale properly and could not prevent his blood from filling with CO2. He went to the hospital and was placed in ICU which brings us to the present. Alan is the strongest, most brave young man I know. We as his family just want to be able to provide for him the best quality of care and life, with whatever amount of time we have left. This is our family humbly asking for help, be it financially or in the form of prayer. Each equally appreciated. God bless and thank each and everyone of you, that has taken the time to read this.